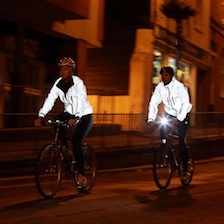 ...how many times I have been told at traffic lights by cars how bright it is. I've only had it for a month! 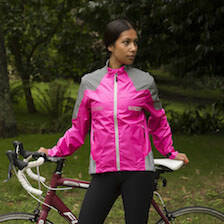 I am really pleased and I'll be buying more kit from you guys soon when the weather changes. Lots of space inside for laptop, clothes etc. Withstands the rain. 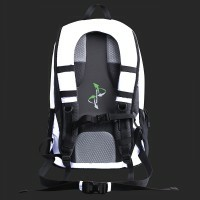 I am please to say that after an initial hick up with the delivery which we can ignore, because the backpack is great. I generally do not like doing reviews but I felt that I should say that one, th ecustomer service guys stepped in to sort out my missing order. Two the backpack is a ripper. Bought mainly for night use as I do a lot of shiftwork so I am always out at strange times. It is super bright at night and I you can't beat being given more room on the roads and even the odd comment noting this. That's the best endorsement in my eyes. Happy Rider. This is a well made rucksack for starters. Nice zips, straps and inside pockets for laptop etc. But that is not the good bit... the good bit is why I bought this. 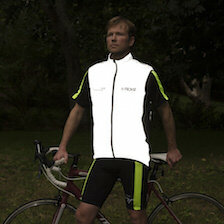 The CRAZY bright reflective material!!! I have been using it for the past 3 weeks since winter fell in Melbourne and in those 3 weeks I must have have at least 3 or 4 comments a week from drivers or other riders. They all say how bright I appear...That's why I bought this backpack! Super fast FREE shipping too! Posted 3/05/2018 by Bright mike! I commute to work early in the morning and evening and needed a backpack to store my documents. 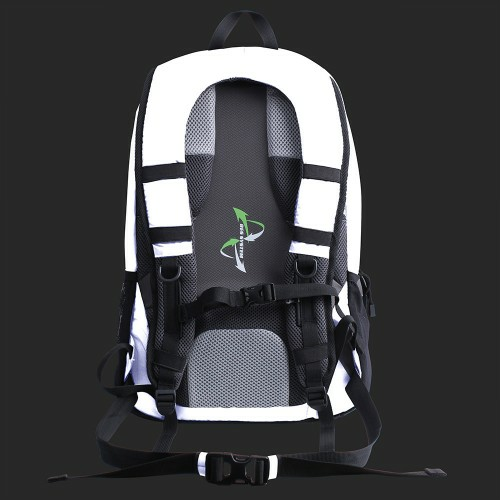 This backpack is excellent - comfortable to carry, conforms to my back, has ample space to contain a lot of stuff, and best of all great visibility. 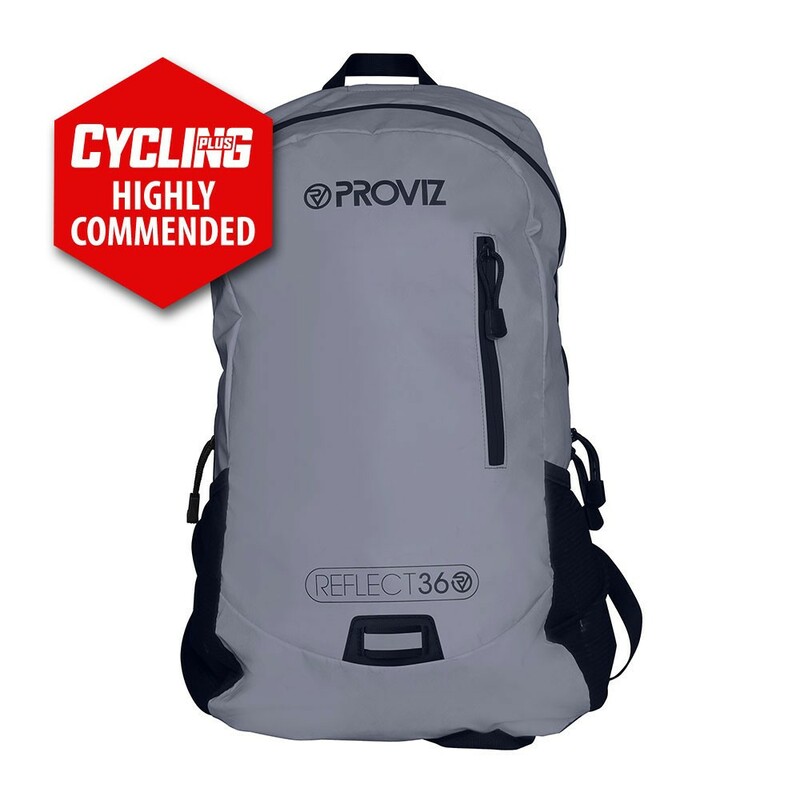 As I don't wear reflective gilets or vests whilst riding on the roads, this backpack is a great 2 in 1. Plus, I figured, carrying a non-reflective backpack will merely conceal a reflective vest or gilet. Highly recommend. I gave 4 stars for quality as I did notice that the silver bits gets scratched easily if I toss it in the back of the car with other luggage. But it's not a big deal. 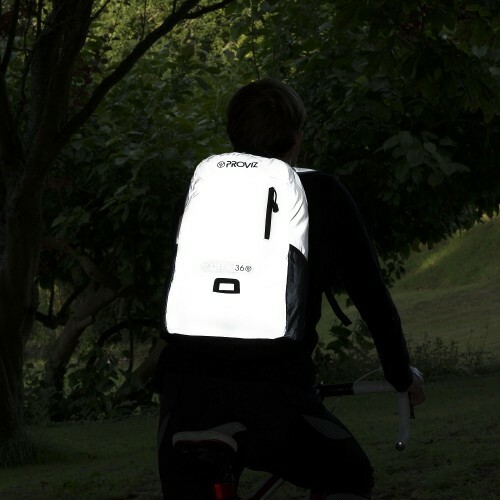 It's a very reflective rucksack. And also has a a lot of space. In that way very suitable for commuting. Unfortunately it's not fully waterproof. If it was I would give it more than 5 stars. Now you have to use the, also very reflective cover to be sure it's waterproof. I have used the cover in rain and snow and it stays on well and keeps your stuff dry. The service of Proviz is very good. Swift delivery and good advice. 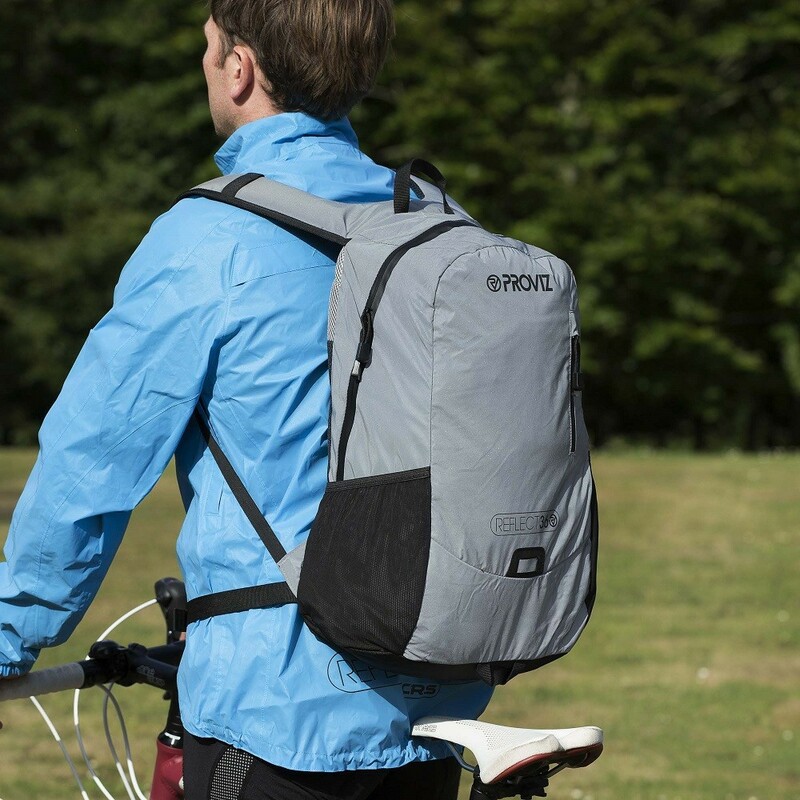 I hope you develop a fully waterproof and reflective rucksack, that would really top it. Great rucksack, especially for riding at night or dark mornings. 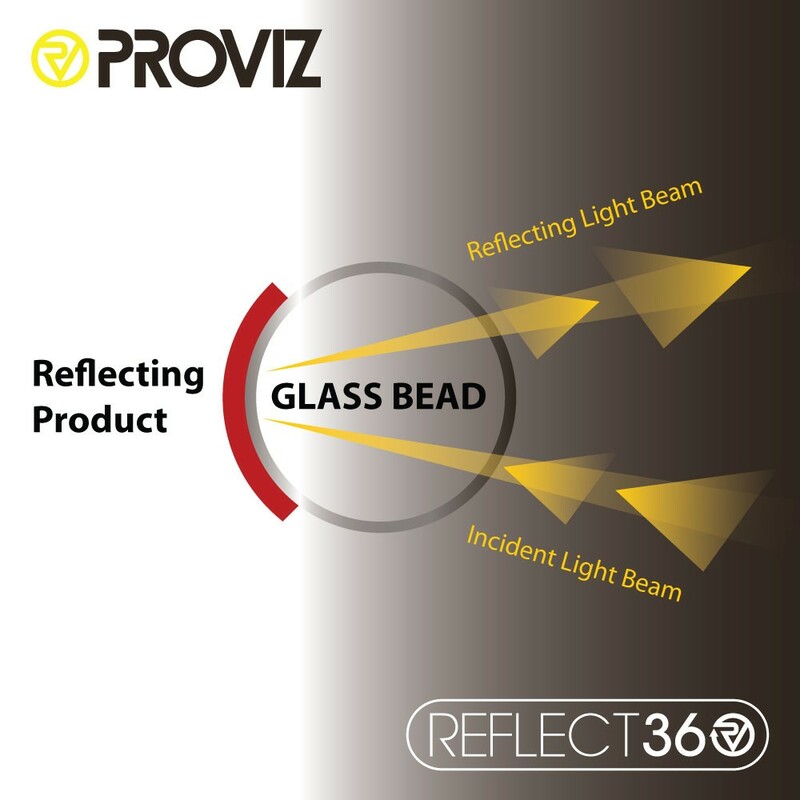 Very reflective coating makes you light up amazingly brightly - a must have feature in my book, for the winter. 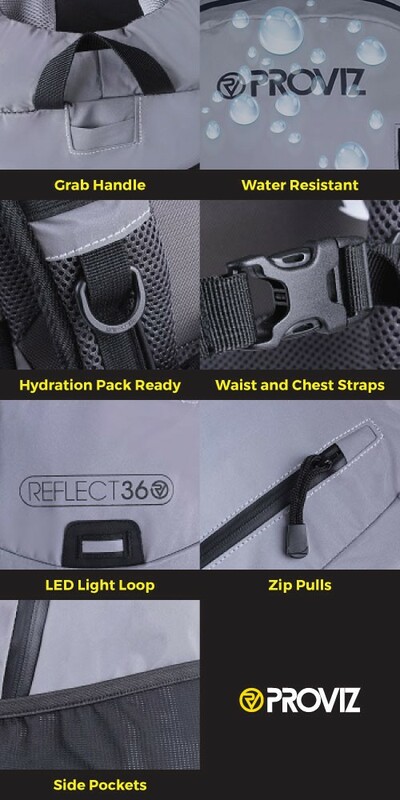 Lots of features that makes this a great all round backpack besides the obviously reflectivity = Adjustable chest and waist straps allow you to adjust it to your body shape. Nice venting system on the back. 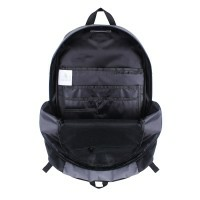 Laptop pocket, outside pockets, good capacity, th elist goes on. All in all, highly recommend. Got this pack for trail runs and long distance longboarding. Fit: surprisingly comfortable even after +4hours of continuous use; the waist and sternum straps cinch the bag to your torso securely. Once you fill up the bag, the height of the pack also helped in maintaining balance. Water resistance: used this in weather with light showers, fabric held off the raindrops very well. 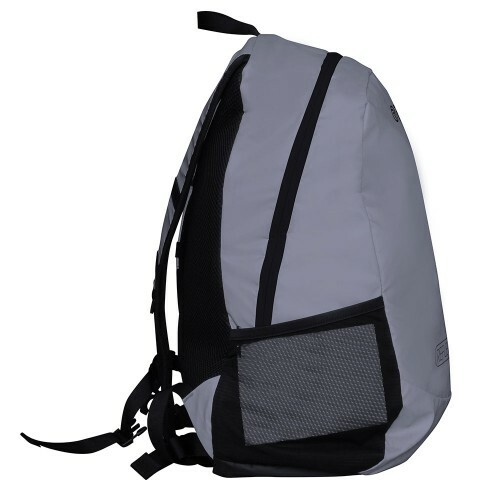 Compartments: generous space within; with deep two side pockets that can hold 750ml water bottles each and an outer pocket that had a surprisingly wide compartment within. Design flaw: This bag should have been made washing machine compatible. After a long run or ride in the outdoors the last thing you want to do is handwash the bag (especially if soiled with mud or tire splatter). I hope in the next version of this backpack it does become washing machine compatible. Fantastic and does what it says! Couldn't be more pleased with the reflectivity for short winter days in Scotland! 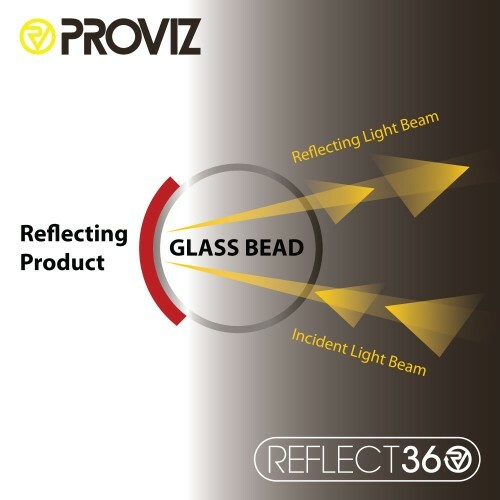 Only concern is if the reflective material starts to wear away? Time will tell. But very spacious, lots of storage and looks great too. 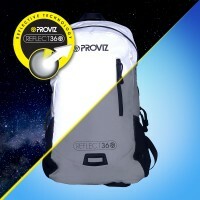 This has all the features of a way more expensive backpack, plus the reflectivity, genius bit of kit. First impressions were of a well-made, good sized rucksack. 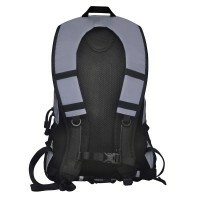 chest strap, waist strap, pockets, laptop section - all great. 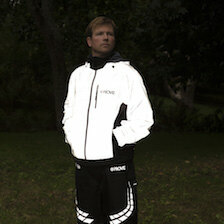 Secondly but the reason why I bought it was for the reflectivity. I took a picture with my phone and showed my family who were amazed, we had fun testing but I still wasn't sure how I'd look when out on the bike. First outting in NYC and I soon realised I was a beacon - lots of great comments from people in cars. You know us New Yorkers have an opinion about everything and it seems reflective backpacks are no different! As good as any, and better. From a purely functional point of view, the rucksack is well made, touch and durable. Has nice features such as chest and waist strap, laptop holder, clips and holes for hydration pack etc. All good. The bit that makes this better, is its outstanding reflectivity at night. You actually have to see one on the road to believe it. That is why I bought it. Very reflective at night, this can not be debated. Happy with my purchase. Why would you want to buy anything else. This rucksacks is extremely well made, waterproof (inc zips) and is a good size. The best bit though is that it is so bright at night - my wife has since bought the whole family one each. 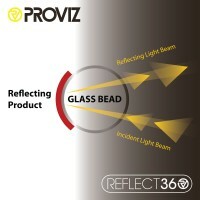 Great work Proviz and look forward to what other great products you introduce. This rucksack is something i have been looking for about 5 years, it is just what i hoped it would be - a brilliant product and now everyone in my office wants one and I am getting given more space on the road by cars passing at last! 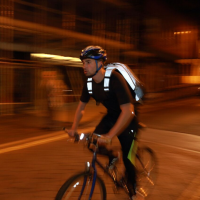 Since my rucksack arrived I definitely feel the reflective material (yes the whole thing is reflective) is off massive benefit to cyclists when it is dark. I am noticing cars now pass a lot wider becuase of the bright beacon that I now am. 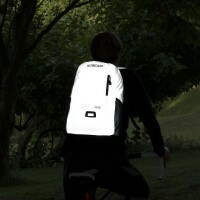 I am really happy with this and the main reason why I purchased the rucksack. The build quality is sturdy and strong which I am also happy about. I also like the waist and chest straps - 2 straps really help with stability. I'll be back at Christmas to purchase more for the family. Have tested my new rucksack out and it is everything i hoped it would be. 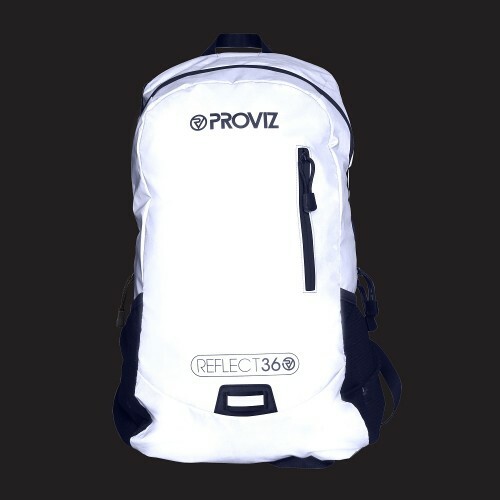 Yes £69.99 is quite a lot for a rucksack but it is well built, the reflectivity is amazing, it is very comfortable and is spacious too. Very pleased with my purchase. My wife pre-ordered this rucksack as a surprise, it is absolutely brilliant, very well constructed, the reflectivity is clever as not bright during the day but have tested it at night and it is incredible, can't wait for the winter now! It also fits all my gym gear in. The Beetle ventilation system allows for air to freely move around your back so you can avoid that uncomfortable clammy back feeling! Easy to carry when not on your back. 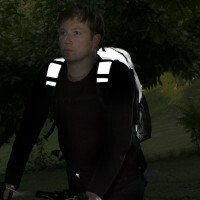 The backpack is ready for a 2 litre hydration pack to be added and the straw clipped in to position for easy access. Attach your own LED light to the backpack. 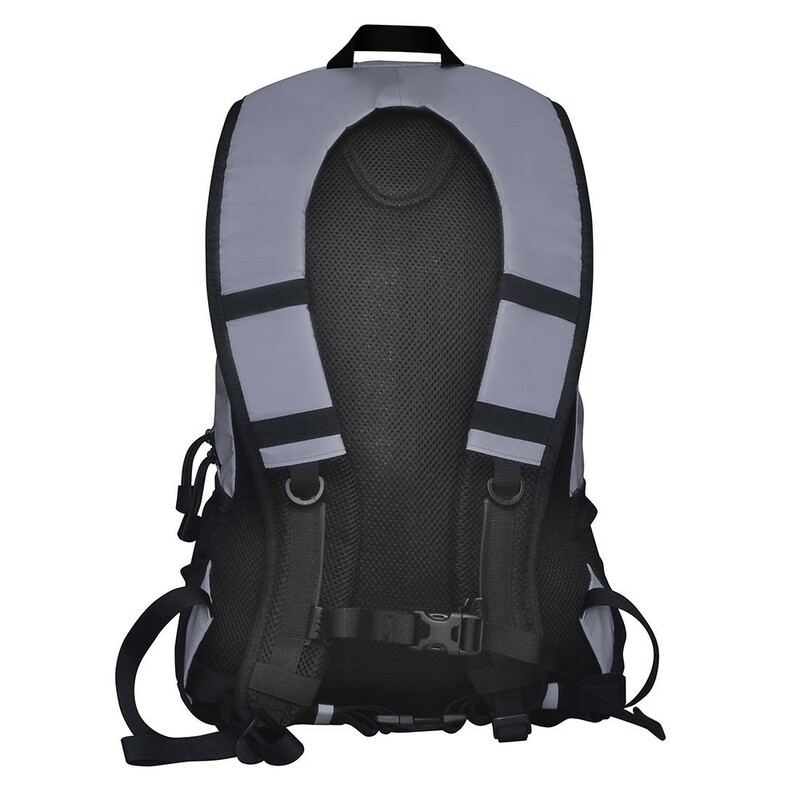 The waist and chest straps will ensure good stability when the backpack is in use. 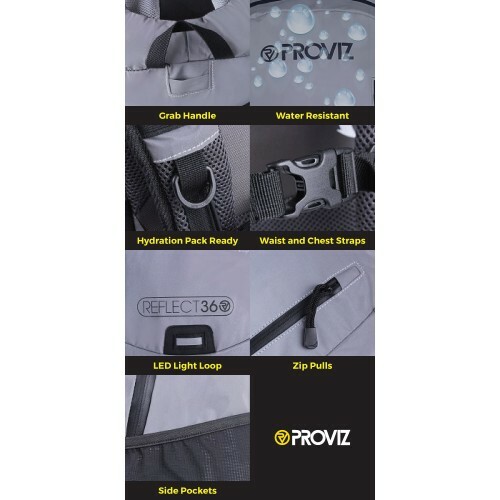 The easy-release buckles ensure a secure fit and are speedy to remove.